Check here often to see any special gift card deals! Share the gift of relaxation with someone you love. 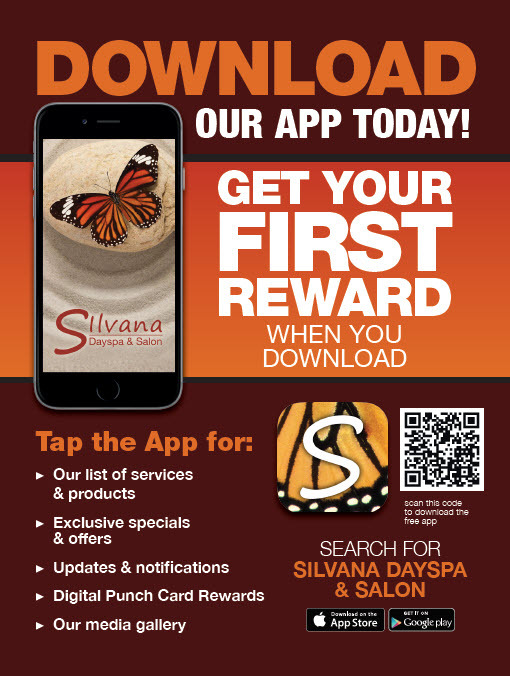 Order your Silvana Gift Cards online or in the salon for all your holidays and special gift giving occasions! At Silvana we use Wella, Nioxin, Sebastian, Oglio Blacklight, Olaplex & Keratin Complex hair care products. Pure and natural ingredients. Tested by hairdressers – never on animals. Wella® is one of the most recognized professional manufacturer of salon products worldwide. Give your hair the very best. Ask your Silvana stylist to recommend the right take home products for you. Angelina Jolie, Jennifer Garner, Madonna and Jennifer Lopez are among the many famous celebrities who use Yon-Ka. Now you can use the same skin care products as the stars at Silvana. Ask your Yon-Ka certified Silvana esthetician to recommend the treatments and take home products best for you. NEW at Silvana- DERMALOGICA Skincare Line! Custom gift packages are available upon request. Beautifully presented with your favorite products and gift cards for services. Call to find out how we can help you make the day special for someone you love. Make the day for someone you love!